Mr Somaiah Aroori is one of the four consultant HPB surgeons in one of the busiest HPB unit in the UK who perform more than 250 complex benign and malignant HPB cases. He has a special interest in laparoscopic liver and pancreatic surgery and keen on developing an interest in robotic surgery. 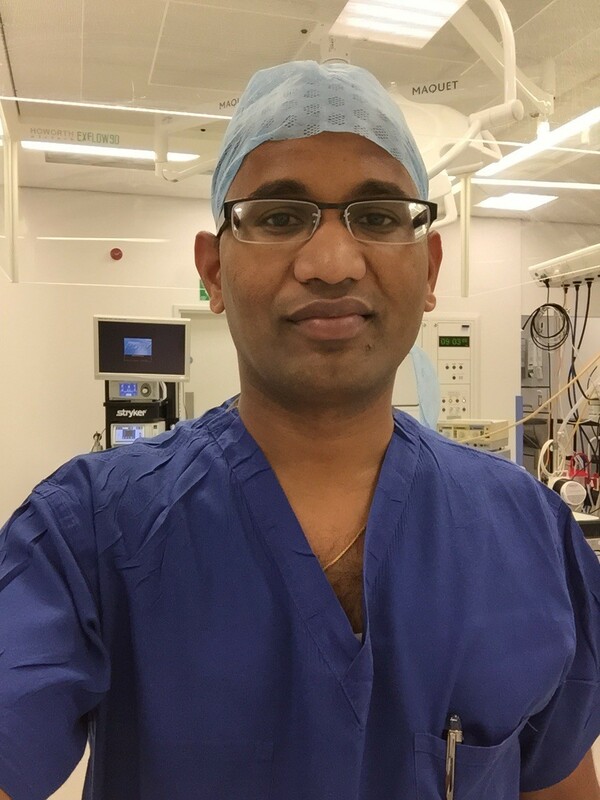 He has performed several complex liver and pancreatic surgery since his consultant appointment in 2011 including 185 liver resections, 150 pancreatic resection, over 400 gallbladder operations, over 150 laparoscopic inguinal hernia operations, 80 kidney transplants, 40 laparoscopic donor nephrectomies, and over 1000 other surgeries. More than half of liver resections and over 90% of general surgery operations were performed laparoscopically. He performed the first laparoscopic hemi-hepatectomy in Derriford Hospital in August 2012.